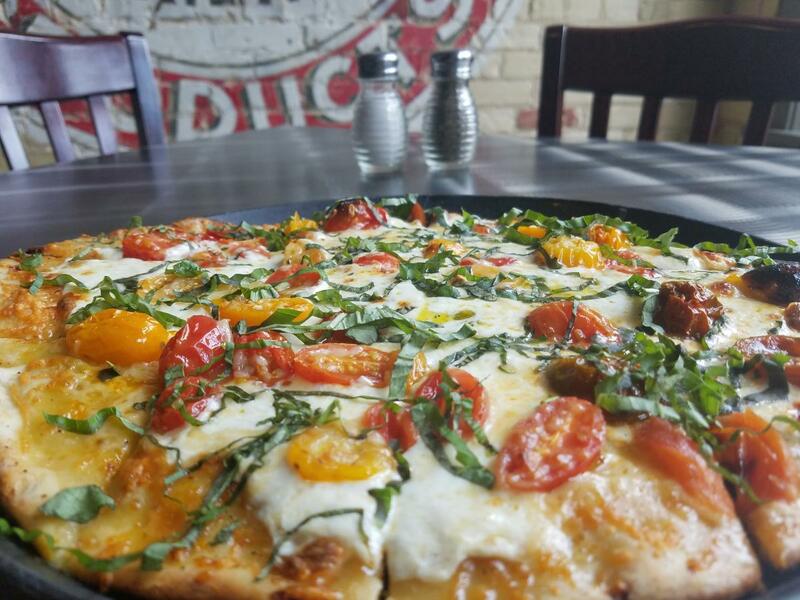 No matter what you’re in the mood for, downtown dining in Holland, Michigan will serve up the perfect meal. We have a tempting array of restaurants, from fine dining in a Bavarian restaurant to casual dining in an Irish pub. Enjoy your meal atop a contemporary hotel with great views of the city, or in a booth at a classic American diner. Kick back on a huge deck along Lake Macatawa, or cozy up to the bar in a microbrewery. And the food! Downtown Holland restaurants serve up an eclectic mix of tempting cuisine. One features an appetizer and entrée special from a different country every month. Another has a soup bar that always features their signature Chicken Corn Chowder. Two restaurants are so dedicated to pairing wine with food that they each received Wine Spectator’s Award of Excellence. And another whose chef serves up such superb cuisine, she’s been honored by the National Restaurant Association. Besides the bistros, pubs, grills, and restaurants, downtown Holland features cafés and shops that cater to smaller and sweeter appetites as well. We have ice cream, fudge, and candy shops; coffee café’s and bagel bakeries; hot dog, hamburger, and pizza joints; and salad/sandwich shops. Grab a freshly ground burger and top it off with a hand-dipped ice cream bar. Complete your meal of spaghetti pie with a slice of rhubarb raspberry pie. Be good with a fresh veggie sandwich and then go nuts with a hot fudge cider doughnut sundae. With all this food, you’ll need something to wash it down. Our restaurants feature full bars — one that serves spirits distilled in its own distillery — as well as excellent wine lists and beer selections. Downtown also features several microbreweries and lounges. And you can enjoy such non-alcoholic delicacies as a Rock Shandy, Hot Caramel Apple cider, and a Milky Way Latte Smoothie. So if you’re thinking of dining in Holland, Michigan, head downtown for a great meal, the perfect atmosphere, and the friendliest of service.